Glass turns your rifle *as is* from a 0-300 yard gun to a 0-600+ yard gun. Your DMR doesn’t have to be a Mk12. Almost any rifle can be applied to the designated marksman concept provided the shooter has the training to make use of it. So it’s not about building a Mk 12 clone, it’s about acknowledging that the rifle you have right now is capable of doing *great* things with the right upgrades and training on your part. So what use is a DMR style rifle in the hands of a civilian? Equipping your rifle with glass, a free float rail, and quality ammo expand your rifles effective range to the edge of the AR15s ballistic capability. As a civilian, learning to use your rifle to the edge of its performance envelope is a good thing, but will their ever be a time when you can use 600 yard capability? We know disasters happen. Hurricane Katrina, the battle for Blair Mountain, the Tulsa Race riots, the Zimmerman / Martin riots, Furgeson, and the L.A. riots are just a few examples of extreme SHTF situations since 1900. Glass isn’t the be all, end all since it cant quite compete with a red dot for the majority of close range scenarios, but as Jerry Mikulek can show us, a good 1x variable won’t slow us down that much either. Having an individual skilled in fundamental marksmanship and giving them a rifle which lets them apply their knowledge is a powerful thing. From hunting to defense, a DMR style build with a dedicated and practiced shooter expands the AR15 from a 0-300 to a 0-600+ yard rifle. Photo above is the M14 with its Technical Data Package. Shared from Daniel Watters. Go on to any gun forum, and it won’t take you long to find people willing to tell you how great the M14 is. How accurate, like a laser, tough as tool steel with no need to baby it or clean it. Powerful as a bolt of lightning, and how well loved it was by those early users who refused the M16 because they wanted a “real” weapon made of wood and steel… But, is all that really true? Maybe it is a triumph of nostalgia over common sense and reality. One truth is, it was never really liked as much as people think they remember. The M14 was having major problems even before ARPA’s Project AGILE and a Defense comptroller reported the AR15 superior to the M14. The famous Hitch Report stating the AR15, the M1, and the AK47 superior. All of the rifles from Winchester and H&R exhibited excessive headspace. All of the rifles had loose handguards. 95% of the rifles had loose stock bands. 90% of the rifles had loose gas cylinders. 75% of the rifles had misaligned op rods and gas pistons. 50% of the rifles had loose op rod guides. 50% of the rifles had op rods that rubbed the stock. Three rifles had barrels that exceed the maximum bore dimensions. Only three rifles had an average bore diameter that fell below the accepted mean diameter. One rifle was found to have a broken safety while another had a misassembled safety spring. One rifle had a misassembled flash suppressor, which was actually contacting bullets during live fire tests. A barrel from each manufacturer was sectioned for examination of the bore and chrome lining. The chrome lining was out of tolerance (uneven and on average too thin) in all three barrels. The H&R barrel also failed the surface-finish requirements. 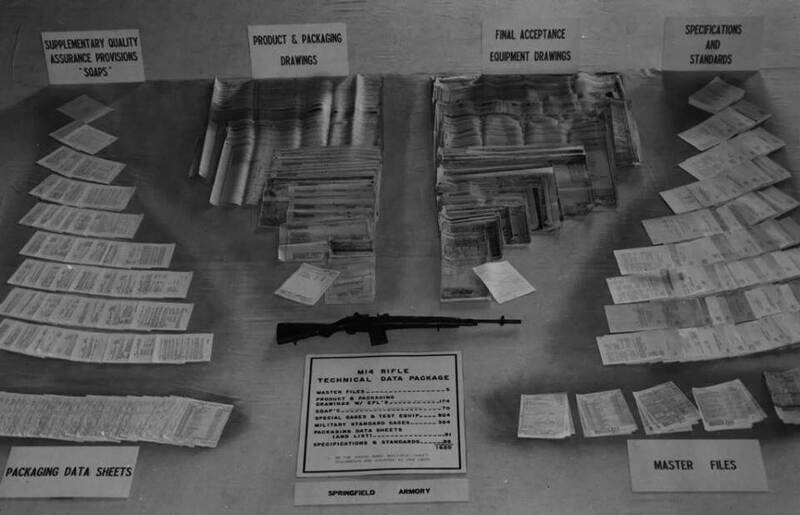 During accuracy testing, the M14 rifles produced greater group dispersion and variation in the center of impact than the control rifles (two T35 and two AR10). NATO testing was quoted indicating that the Canadian C1 (FN FAL) and German G3 were less sensitive to variations within and among ammo lots. Shutting off the gas port in the M14 rifles resulted in an average 20% reduction in extreme spread compared to those groups fired with the gas port open. This also reduced the variation in the center of impact. The design of the flash suppressor was singled out as a cause of inaccuracy. Full PDF of the honest technical Report that does not paint the M14 in a rose colored light, can be found here. http://www.dtic.mil/dtic/tr/fulltext/u2/677383.pdf Take note of Page 32. Production of the M14 was long and troubled. The cost of the weapon rose beyond claims of being able to produce it cheaper and with the same machinery used to make the M1. The story of the long tax money gobbling nightmare of the M14 is known to those who study the deep history of military weapons, and I encourage anyone interested to look into themselves but I am not going to go into that this time. For this post, I will be talking about the current niche the M14 is still hanging on to. After the M14’s near-complete death of cutting-edge combat use, the Army still wanted it as their sniper rifle. Of course, many systems were tested by the Army during the Vietnam war, including the USMC M40 sniper weapon, For debatable reasons, the Army decided the M14 was the way for them. This is where the rifle begins to show. The USAMTU had been working with the M14 for years for use in competition and sniping. Indeed the AMU knew that the Army would need a sniping weapon even before the officers in charge did. So they had been working on the National Match M14 for a while. The procedure to turn an M14 rifle into the M21 or the National Match service rifle is so long and complicated I have little desire to try to repeat it here. See “The Complete Book of US Sniping” by Peter Senich if you want all the details. I will say the process was time-consuming and expensive, and that is not even starting to discuss the search for an optic system to go on the XM21. It produced a rifle capable of 800-yard kills and usable accuracy. For a while at least. Over the next several years, the Army spent millions trying to perfect the system while it was used as the service rifle in high power. Between those two pursuits, some interesting things were learned about the accurized M14. It turned out it was not as rough and tough as some think. To keep an M14 made to NM-spec accurate, it requires careful tuning and extensive PM. If you doubt this, go to your local range and find a high power shooter who still uses one. Ask them if you may look at the rifle and grab it by the top handguard and watch the fellow go from deathly white to red with rage and horror of what you just did. It needs to be carefully babied. And the Army spent millions and years relearning that lesson over and over with the M21 until finally dumping it for the M24 in the later 80s. Though people who have many believed the Military and the end users long for the return of this big heavy beast, this is not really all that true. this is best illustrated during the time period in the late 80s to the late 90s of the USMC’s DMR program when so many tried to bring it back as the DM rifle or the Sniper teams spotters weapon. Around, during or a little before this time, the Army Rifle team commander decided since the Army’s standard issue service rifle was the M16, then that is what the Army service rifle team needed to be, and should be using. The AMTU armorers put their heads together, took some tips from civilian high power shooters who had already woken up and got by the absurd notion that service rifle meant “wood and steel,” and soon after the Army was beating the USMC rifle teams at Camp Perry by a long shot. Not long after, the Marines found themselves going to the M16 for service rifle to keep up. Few people, who want to stay competitive have looked back. Especially after the development of the 77 and 80-grain HPBT match bullets. But, the DMR program is where the trouble of the M14 as a precision combat rifle really became clear. Chandler went on to talk about how, after retiring from the USMC and starting Iron Brigade Armory, one the best makers of combat-hardened, nearly bombproof sniper rifles in the world and the makers of the legendary DARPA XM-3 sniper rifle system. He gathered and employed the worlds best retired USMC 2112s that he could find and attempted to make a tough super accurate M14s. Making money no object in the pursuit in an attempt to see if it could be done. Chandler’s quotes and feelings on the M14 as well as his belief the M16 with an optic is the ideal Sniper’s Spotters weapon, as well as DMR, can be found in “Death From Afar Vol. I-IV” as well as “The One Shot Brotherhood” and various other technical publications such as Precision Shooting magazine as well as technical papers spread internally in the USMC. The M14 remains popular in the civilian world and not just from service rifle shooters. It still has a life among collectors, plinkers, and even serious shooters. The new variants trying to breathe life into it as well as pictures on the news of M14s forced into use in the first half of the GWOT. Some still get caught up in its legend and its lore. The romance of the piece has lulled many away from the fact it is not a fully capable modern fighting tool. Many of its fans overlook its many drawbacks. The safety needing a finger inside the trigger guard and to push forward to deactivate. The limited capacity and reload time that is slow (which when compared to a practiced user of an M1 Garand is actually slower to reload than an M1). The maintenance, as Chandler said above is a nightmare if the gun is used often. Every time it comes apart, the bedding gets worse and worse. It may seem like no big deal for a combat weapon, but it is. The gun is heavy in all its forms and is as slow as a monkey doing Chinese algebra compared to the faster more natural manipulations and ergonomics of better designs. The oft-used excuse of “I will pick them off at 500 yards before they get close enough to worry about” is absurd. The last 15 years have shown very few cases of infantrymen laying prone and picking off enemy soldiers at 500yds. It is laughable to consider using the M14/M1A on your lonesome in an urban or CQB role. Sure, some SOF have done it, but they have someone covering them. While the ergonomics of the M14 are already not wonderful for modern TTPs, the use of some of the newer stocks, like the Sage exaggerates the difficulty for anyone other than a giant who drags his knuckles when walking Never mind the astounding increase in weight, let alone the cost of such an “upgrade”. Howard, fellow LooseRounds writer, co-owner with me of this website, friend, and USMC rifleman, and Iraq war vet gives his opinion and experience with the rifle as well as what he observed of it in Iraq. “My experiences with the M14 type rifle lead me to have little interest in it. I owned a Springfield Armory Bush rifle that had various issues. I sold it to a guy who liked M14s. Later I received a SOCOM II in trade and found it overly heavy and was not a gun I would want for long distance shooting or for close quarters. Lt. Col. Chandler would feel a sense of deja vu I have no doubt. Maybe even frustration that so many refuse to see the evidence from many decades. Other opinions, from a man who was more or less my mentor in the olden days. An SF vet from Vietnam who used the M14 in training and in his early days of combat. He went on to be a ballistic reconstruction expert. Tested Federal 22 Long Rifle match ammo to be used in that years Olympics and T&Ed guns for Ruger and High Standard. In addition, he is an accomplished BR and service rifle shooter as well as bullseye small bore and pistol. My own Father had this to say. Dad was in Vietnam from 1967-’68 in the 4th Infantry Division. For every person who has told me how great the thing is, I have found two who had nothing but misery and bad experiences from it. I myself among them. Among the other myriad issues of using the M14 as a match rifle and DMR as well as anything else required by it in combat, more recent problems popped up. Since most users trumpet the excellent accuracy of the M14 and its use in combat as a hard-hitting accurate battle rifle, this means military grade match ammo to take advantage of its legendary long-range man-killing accuracy. By Name Removed at request of author. The military did get the bugs worked out on the ammo eventually so that is one less thing to worry about if you are in a fight and can get your hands on the good stuff. The question is, why waste such ammunition in an M14 when 7.62mm pattern AR type rifles are now easy to get, more accurate, more familiar vastly cheaper and much easier to work on. Not to mention being familiar with the vast majority of military and civilian users. The M14/M1A will be around for as long as people will continue to buy them. Certainly, there is nothing wrong with owning them liking them and using them. By no means is it useless or ineffective. But its legendary reputation is something that needs to be taken with a grain of salt and careful study of the system if you intend to have one for a use your like may depend on. If you are curious, previous posts on shooting rack-grade M14s and custom service rifle M14s with Lilja barrels fired at 1,000 yards can be found here on Looserounds using the search bar. 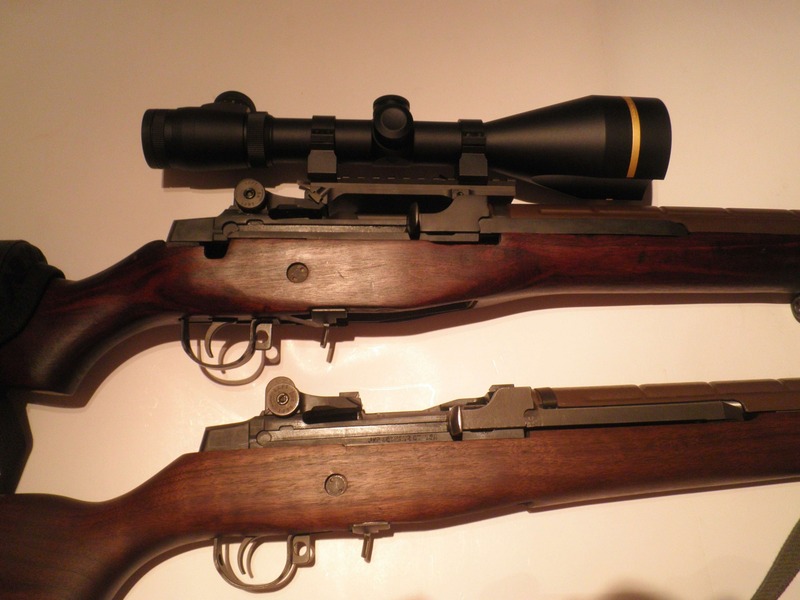 There you can read of the M14/M1A compared against the M1 Garand and M1903. In practice, the Designated Marksman concept revolves around additional training more so than additional equipment. Sure the different branches have “accurized” versions of DMR style rifles such as the SAM-R, Mark 12 SPR, and the SDM-R, but they all accomplish the same goal: enable an individual soldier with additional marksmanship training to better engage targets at intermediate ranges. So how does this apply to the prepared civilian? Can any rifle function as a DMR? Can a civilian shooter ever take advantage of a long shot? The first part of this series will define the gun. Hint: It’s not that special. In all likelihood, your weapon may already be free-floated. Manufacturers want to increase profit margins through perceived value of accessories such as the rail you have equipped now. I am firm in my belief that you don’t need a free-float rail inside of 300-600 yards depending on your goals and experience. I have shot to 600 with and without a free-floating barrel, and Shawn makes me look bad when he shoots to 1000 with rack grade Colts. It can be done, but when we set our goal to deliver accurate and consistent fire upon a target at intermediate distances, the advantages of the free float system become apparent. Glass is an essential and modern tool. Many more people have woken up to the advantages of glass, and the old timers with “irons only” attitudes are fading away. Quality glass unlocks the inherent accuracy of your weapon by giving you better target resolution and precise cross-hair alignment. Don’t skip it. Instead skip the next rifle purchase and equip the weapons you already have with quality optics. Ammo is the final tool you need. 55 grain isn’t going to cut it. At our intermediate distances, we should feed our weapon quality ammo that matches our BDC. I use 69 grain ammo since it translates well for my TA31F, but if I had to do it over again, I would have gone with a .308 BDC ACOG shooting 77 grain ammunition. Here too, out to 500-600-700 yards one could shoot the lighter stuff, but that would lead to frustration and inconsistency. 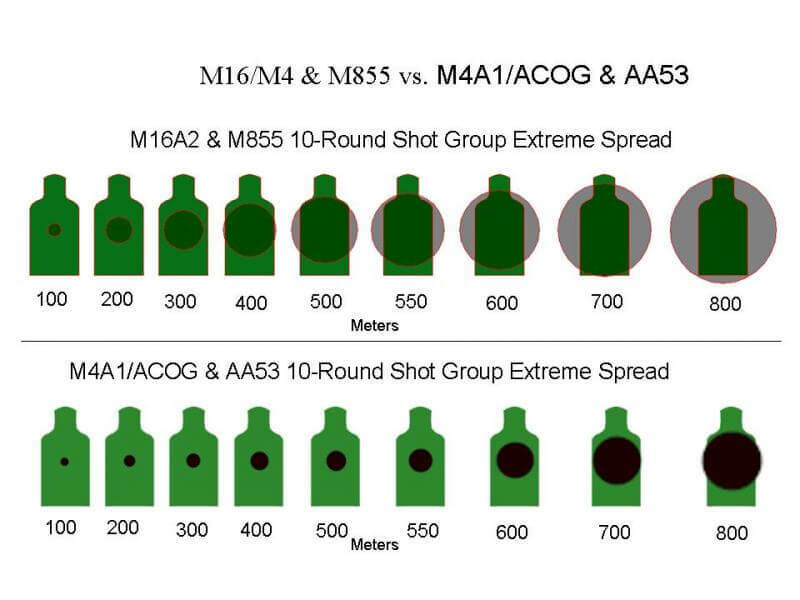 The above chart is from a military power-point presentation discussing the advantages of proper ammunition selection and upgraded optics. As you can see, a typical M4A1 when equipped with glass and better ammunition (in this case 77 grain MK262) greatly reduces group size on target. The M16A2 *as is* is simply outclassed. This picture makes a valid argument against anyone who still wants to rock the irons or who claims they don’t need glass. No, you don’t *need* it, but you would benefit from it! So wrapping up, we can see that any AR15 in your home with a barrel capable of 2MOA or better will be well suited for a DMR type role when equipped with quality glass, better ammunition, and a free float system. A true testament to the AR15’s design. Let’s take a quick look at two new offerings from Colt in the LE6920-OEM1 and LE6020-OEM2 models. Several places have these listed and they are in the Colt 2015 catalog, but no one currently has them in stock. They should be available and hitting the market after Shot Show. The OEM’s come without a stock, handguards, trigger guard and BUIS. Now, you might be thinking, what is the big deal with the OEM models? If you are new to the AR15 platform they might not be for you, but if you already have a few ARs you can see the benefits. #1) It’s a Colt, you know what you are getting, (proven reliability), enough said. #2) I currently have several stocks, handguards , grips, rail systems and BUIS laying around. Most of us do as we are constantly getting new accessory products to try out. #3) The MRSP is just under 800 dollars. That means you will probably be able to get an OEM1 or OEM2 in the mid 600 dollar range once they start hitting the street. Slap on the extra parts you have laying around and you have a new standard configuration Colt LE6920 for under 700 dollars with the OEM1. The LE6920-OEM2 is the real winner here, with the factory pinned FSB / Gas System that has been milled down to a low profile gas block. The delta ring has not been added, leaving just the barrel nut and no handguard cap behind the FSB. The OEM2 is screaming for you to slap on an extended Free Float (FF) rail system of your choice. If you choose a rail system designed to mount directly to the mil-spec barrel nut, (i.e. Centurion C4, Fortis or Midwest), you simply put it directly on. No removal of the flash hider or FSB is needed. This saves you time and money, while keeping the reliability of factory gas system in place. If you choose a propriety barrel nut FF rail system, you still get the benefit of the factory gas system, you save money not having to replace it with an unpinned low profile gas block or have the FSB milled down. Hopefully the OEM’s will be available soon. I think these will be one of the best “Bang for the Buck” items, especially when most of us strip off the factory accessories anyway. The LE6920-OEM2 is on my list of next purchases. A few days after we posted this article, Larry Vickers did a quick video of the Colt LE6920-OEM1 and OEM2 offerings at Shot Show 2015. Check out the video bellow.